Nymgo is a wonderful calling software for inner and foreign countries. You can make very cheap international calls using Nymgo. It gives good clarity, high quality and low rate calls. Most of the people in this overseas like nymgo callings. It is easy to download and use at anywhere and anytime. If you want better and high quality calls, just try nymgo. It is wonderful and best service. Try and keep in Touch. We are selling Nymgo credits worldwide. You can purchase any amount of credits from us. No extra charges, No hidden fee, no delay & 24x7 Days Service. If you are interested in Nymgo credits sale, I can create & give business accounts & Master accounts. 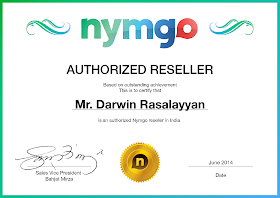 Nymgo business users can get good benefit from me. I will give good offer to business users. I am welcoming Nymgo Business users & End users.